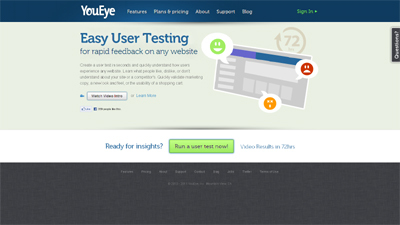 Easy user testing for rapid feedback on any website. Create a user test in seconds and quickly understand how users experience any website. Learn what people like, dislike, or don’t understand about your site or a competitor’s. Quickly validate marketing copy, a new look and feel, or the usability of a shopping cart.